Fast turn times at GD4 Largo, FL - GD4 Test Services, Inc.
GD4 offers streamlined solutions that keeps services at cost-effective prices and offers customers efficient turn times to meet deadlines. We can offer next-day expedited orders; no turn time is too fast for us. GD4 Test Services gives its customers the peace of mind of a comprehensive testing process by a highly trained team. 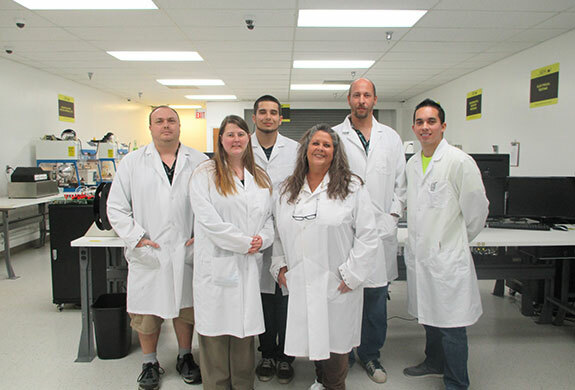 Our ~30 person staff members are certified to process material at the highest standards.